A fast is a voluntary practice in which people go for extended or structured periods without eating and drinking for spiritual, medical, or weight loss reasons. Others fast to protest or raise awareness for causes. Fasts vary widely depending on the type you’re following. Some fasts allow water, tea, coffee, or other fluids during the fasting period, but dry fasts go without. A fast may be intermittent, or it may extend for multiple days. Many of the world’s major religions and cultures have a rich history of fasting. 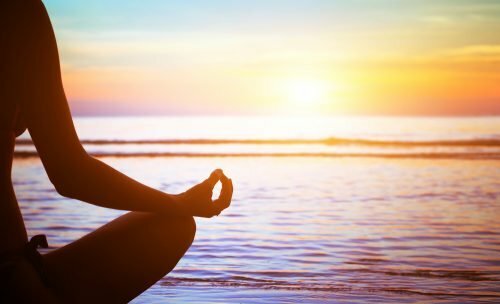 Fasting has long been promoted as a natural means to boost health and deepen spiritual awareness. In some sects of Buddhism, fasting is a regular part of the monastic lifestyle and enhances meditation. In the Judaeo-Christian and Islamic religious traditions, fasting is an act of observance, atonement, penance, self-control, or preparation for rituals or holidays. Therapeutic fasting dates back to Hippocrates, who prescribed it for many ailments. At the time, it was the only successful way to reduce seizures in epileptic children and remained so until the 20th century. Although much of the clinical research related to fasting is limited to animal studies, the abundance of first-hand accounts from people who fast is remarkable, exciting, and encouraging. Many people find that fasting sharpens their mind and provides mental clarity. Interestingly, many of the benefits of fasting don’t result directly from fasting itself, but from the effects of reduced calorie intake, decreased fat composition, better sleep, less diet-related inflammation, and lower intake of salt. Fasting causes leptin levels to drop. However, as you lose weight, your response to leptin signaling increases, making it easier to eat healthier foods and smaller portions since you’ll feel more satisfied after a meal. Some weight loss authorities think leptin resistance might be a factor that prevents people who are significantly overweight from dropping pounds because they don’t get that hormonal signal telling them that they’re full. There is an evolutionary theory that may explain why animals that are fed low-calorie diets tend to live longer than their “well-fed” counterparts. The leading idea holds that when an organism endures challenges like famine, it responds by dedicating more resources to survival. This is kind of like a factory shuffling equipment and labor around to produce a different product while also finding new ways to be more efficient. Fasting triggers the recycling of old white blood cells—the cells that comprise much of your immune system. Recycling these immune cells leads to a more competent immune system. It works by triggering the regeneration of the stem cells that become your platelets, red blood cells, and white blood cells when you begin eating again. In animal models, researchers found that the effects of fasting on blood sugar and insulin levels also improves the brain’s response to mental stress and protects it from stress-related damage. This fast may be a bit more difficult because it’s not something most people elect to do. Your doctor may prescribe a fast before a medical procedure such as surgery or a blood test. It’s important to stick to the recommended protocol for safety and accurate test readings. 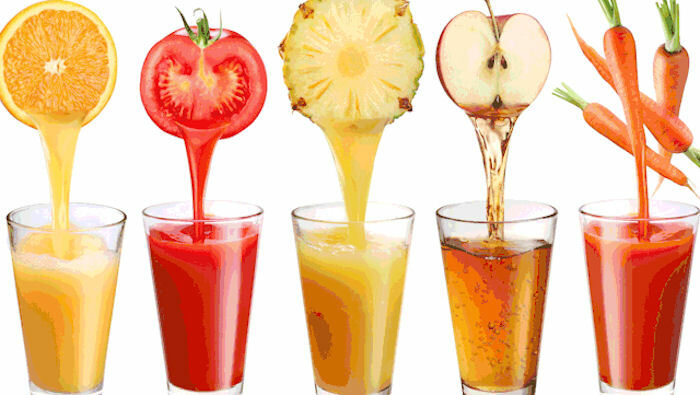 Juice fasting, or juice cleansing, is a type of liquid fast lasting 3-5 days. It’s usually conducted with detoxification or weight loss in mind. Juice fasts include organic, cleansing fruit and vegetable juices. Stay hydrated while fasting. Before your body adjusts, you may experience mild but unpleasant symptoms for the first three days. Hunger, irritability, slight headache, and disorientation are common while you’re adjusting. Around day four on a restrictive fast, you should begin to feel significantly better than you normally do when not on a fast. Some people should not fast. Children, pregnant and lactating women, and diabetics should avoid fasting unless instructed to do so by their trusted health care advisor. It’s also a good idea to converse with them and get an informed opinion that’s personalized to your needs and situation before radically changing your diet or going on an extended fast. Kerndt, Peter R. et al. “Fasting: The History, Pathophysiology and Complications.” Western Journal of Medicine 137.5 (1982): 379–399. Web. Schless, Guy Lacy, and Garfield G. Duncan. “The Beneficial Effect Of Intermittent Total Fasts On The Glucose Tolerance In Obese Diabetic Patients.” Metabolism 15.2 (1966): 98-102. Web. 28 Apr. 2017. Martin, Bronwen, Mark P. Mattson, and Stuart Maudsley. “Caloric Restriction and Intermittent Fasting: Two Potential Diets for Successful Brain Aging.” Ageing research reviews 5.3 (2006): 332–353. PMC. Web. 28 Apr. 2017. Adler, Margo I., and Russell Bonduriansky. “Why Do The Well-Fed Appear To Die Young?” BioEssays 36.5 (2014): 439-450. Web. 28 Apr. 2017. Hayward, Sara et al. “Effects of Intermittent Fasting on Markers of Body Composition and Mood State.” Journal of the International Society of Sports Nutrition 11.Suppl 1 (2014): P25. PMC. Web. 28 Apr. 2017. Wu, Susan. “Fasting Triggers Stem Cell Regeneration Of Damaged, Old Immune System.” News.usc.edu. N.p., 2017. Web. 28 Apr. 2017. Anson, R. Michael et al. “Intermittent Fasting Dissociates Beneficial Effects Of Dietary Restriction On Glucose Metabolism And Neuronal Resistance To Injury From Calorie Intake.” Proceedings of the National Academy of Sciences of the United States of America 100.10 (2017): 6216-6220. Web. 28 Apr. 2017. Fung, Jason, and Jimmy Moore. “The Complete Guide To Fasting.” 1st ed. Las Vegas: Victory Belt Publishing. Print. Kerndt, Peter R. et al. “Fasting: The History, Pathophysiology and Complications.” Western Journal of Medicine 137.5 (1982): 379–399. Print.